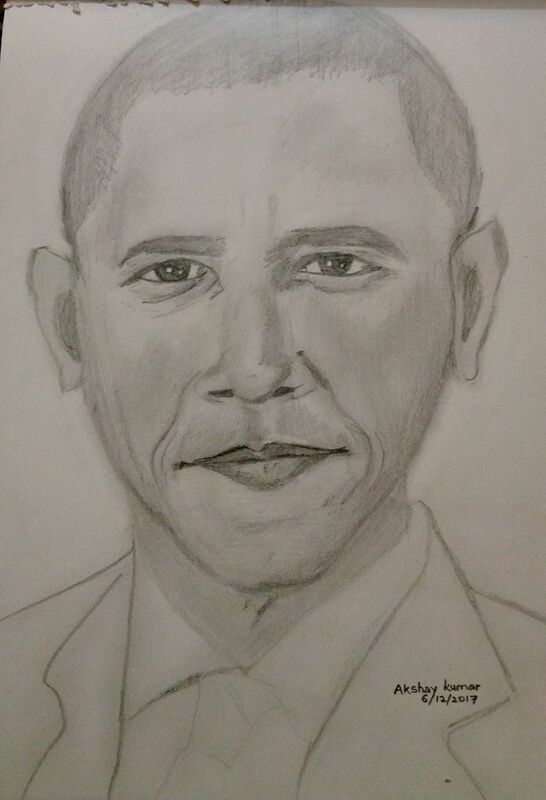 Barack Obama Pencil Drawing by artist Akshay Kumar. Barack Obama is an American politician who served as the 44th President of the United States from 2009 to 2017. Artwork on A4 Drawing Paper. Signed and dated in the lower right side. 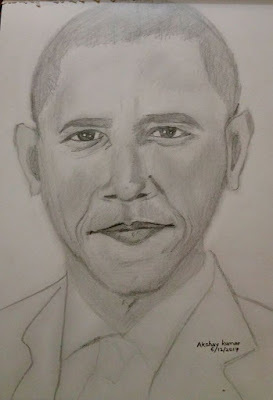 HB pencil - HB pencil is used to draw the outline of Barack Obama face in this drawing and also for shading the face. Colour pencils - Black colour pencil was used to draw the darkest shades in this drawing.